The important role of histone deacetylases (HDACs) in the development of cancer has been demonstrated by various studies. Thus targeting HDACs with inhibitors is a major focus in anticancer drug research. Although few synthetic HDAC inhibitors (HDIs) have been approved for cancer treatment, they have significant undesirable side effects. Therefore emphases have been placed on natural HDIs as substitutes for the synthetic ones. In a bid to identify more HDIs, this study evaluated the binding tendency of compounds derived from Morinda lucida Benth. towards selected HDACs for the discovery of potent HDIs as potential candidates for anticancer therapeutics, based on the report of anticancer potentials of Morinda lucida-derived extracts and compounds. Givinostat and 49 Morinda-lucida derived compounds were docked against selected HDAC isoforms using AutodockVina, while binding interactions were viewed with Discovery Studio Visualizer, BIOVIA, 2016. Druglikeness and Absorption–Distribution–Metabolism–Excretion (ADME) parameters of the top 7 compounds were evaluated using the Swiss online ADME web tool. The results revealed that out of the 49 compounds, 3 phytosterols (campesterol, cycloartenol, and stigmasterol) and 2 triterpenes (oleanolic acid and ursolic acid) exhibited high HDAC inhibitory activity compared to givinostat. These 5 compounds also fulfill oral drugability of Lipinski rule of five. 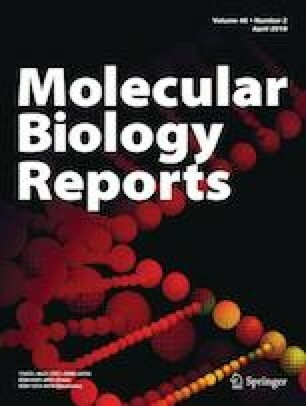 Morinda lucida-derived phytosterols and triterpenes show high binding tendency towards the selected HDACs and exhibited good drugability characteristics and are therefore good candidates for further studies in the search for therapies against abnormalities linked with over-activity of HDACs.